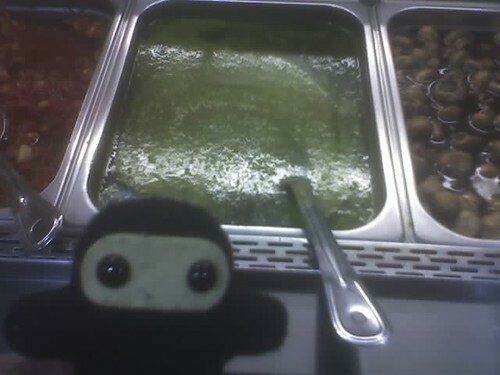 Ninjas love pesto, originally uploaded by packetrat. It reminds Pocket Ninja of wasabi, only oilier — so he can use it to sustain himself *and* pick locks. 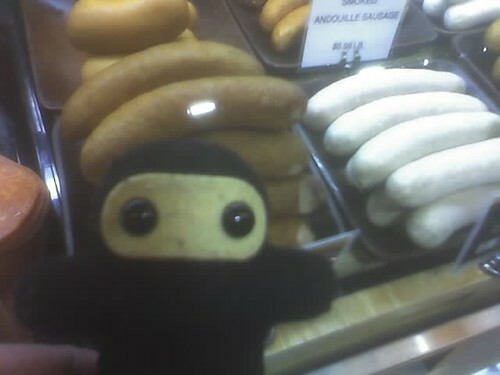 Ninjas Don’t Mind Knockwurst, originally uploaded by packetrat. 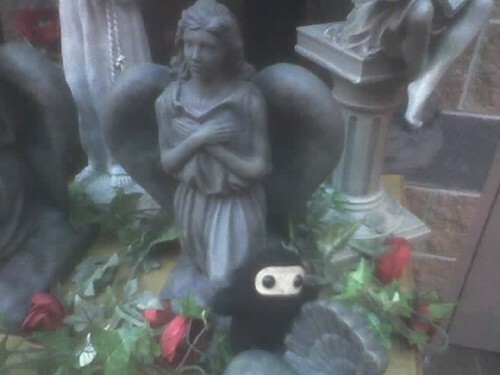 Pocketninja with a fan, originally uploaded by packetrat. 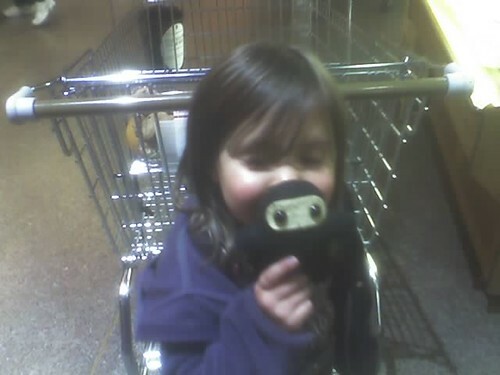 Ninjas need choclolate too, originally uploaded by packetrat. 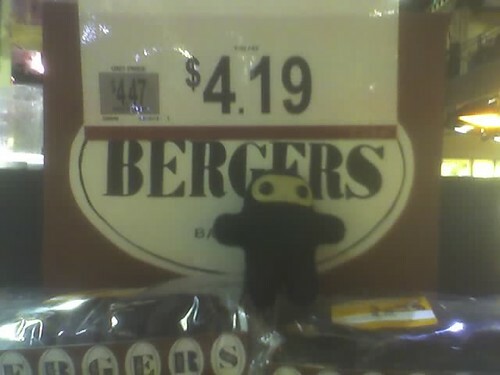 Ninja infiltrates Wegmans Garden Department, originally uploaded by packetrat.